A single property website is a one-page showcase of a property listing that encourages visitors to reach out to an agent via a contact form for more details. To create these, agents need special site-builders. We reviewed 10 of these builders and picked the top six—including the best overall—based on price, templates, and usability. Rela (Best Overall) Agents seeking a website builder with integrated lead generation and a CRM. CribFlyer Brokers who need to build a large number of websites at an affordable price. Listings Unlimited Realtors seeking a builder with advanced marketing features like video creation and social sharing. Single Property Sites Agents wanting niche market templates for FSBO, vacation home, and rental listings. WordPress Tech-savvy agents wanting robust customization options using third-party plug-ins and widgets. Squarespace Non-technical-savvy real estate agents who need simple, drag-and-drop site-building functionality. Agents seldom have the time to design complicated sites for their listings, which is why we ranked the best builders by ease to use, available template designs, integrated marketing features, and accessible customer service. We also considered reporting features and add-ons like CRMs and advertising tools. Price: Single property website builders offer three types of pricing plans: volume pricing, pricing based on the number of sites needed, and a per-website price. We looked at affordable pricing for both one-site builders and builders for a large number of sites. Templates and editors: Attractive templates and an intuitive editor were both key criteria in our ranking; all builders on our list boast these inclusions. 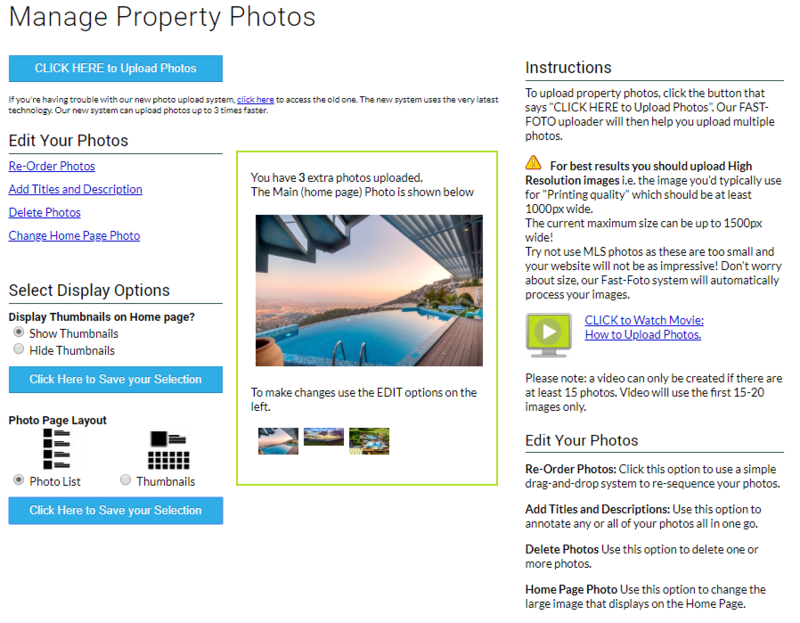 Video and photo integration: Single property websites often showcase homes that benefit from high-resolution photography and video walk-throughs. The site builders we considered allow users to easily add these multimedia elements. Mobile optimization: The average real estate buyer is mobile, so a mobile-friendly website is essential for effective marketing. Responsive design was, therefore, a primary consideration in our ranking. SEO optimization: SEO optimization—creating content and design to ensure sites rank in search engine results—is key to listing pages being found by potential leads. As organic traffic is a major lead source, SEO optimization was a key factor in our review. Reporting tools: Agents can only improve site performance if they have access to performance metrics like website traffic and link click-through rates. Given its importance, reporting figured prominently in our ranking considerations. CRM: An effective customer relationship manager (CRM) is necessary so agents can track leads throughout the sales process, increasing the likelihood of closing a transaction. While not all inclusions on our list have a CRM, those that do were favored. Marketing tools: Marketing tools like drip email campaigns, autoresponders, and text messages help agents stay in front of the buyer. While these features are not part of site building, we did consider them in our ranking as part of overall marketing efforts. Customer service: Customer service is critical for real estate agents who do not have a lot of technical experience. Therefore, we only considered site builders that have robust support via multiple channels to help agents in every step of the site creation process. With these criteria in mind, we recommend Rela as the best overall single property website builder. It offers a winning combination of an easy-to-use site editor and attractive templates, plus the inclusion of a CRM and lead generation—all for an affordable price. Additionally, the included marketing and reporting tools increase the likelihood of converting a lead to a sale. 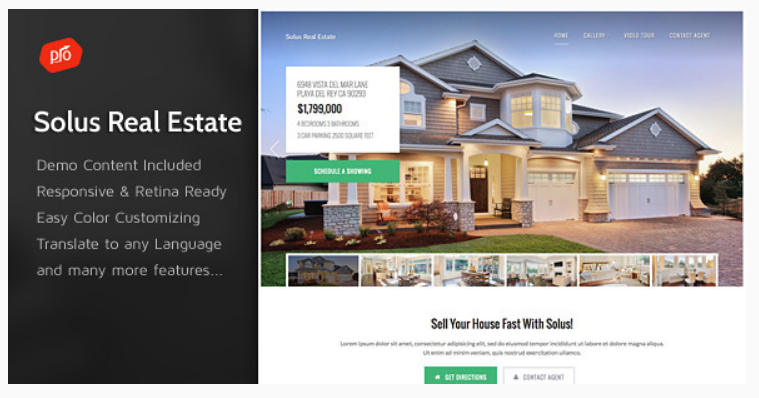 Rela is a single property website builder for real estate agents and our choice for best overall due to its extensive template collection, easy-to-use editor, and responsive-friendly designs. It also boasts a built-in CRM and integrated lead generation via Facebook and Google ads. While not as affordable as CribFlyer or Listings Unlimited, Rela is still an ideal all-in-one solution for agents who need to generate and track their leads from one platform. Rela is well-priced at $29 per agent, per site. The Plus Plan upgrade to five sites is $59. The Pro Plan is $119 per month for 25 sites for 10 agents. You can get a 20% discount for paying annually and a free seven-day trial to test out all of Rela’s features. Rela is the best overall for lead generation, with an easy-to-use template editor that allows customization without adding complexity. While it does not offer open house scheduling like CribFlyer does, it does include attractive templates, an intuitive editor, print options, reporting, lead capture magnets, and social media post and advertising tools. Rela includes a selection of templates and an easy-to-operate editor to help real estate agents get their single property websites up and running. 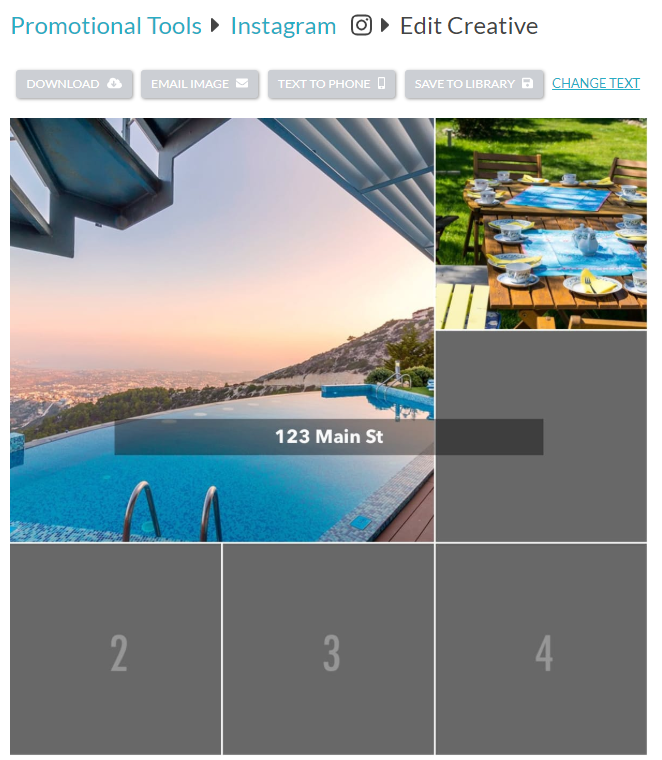 After picking the template to display your property, Rela takes users to the drag-and-drop design editor that allows them to input text, upload images and videos, and add floor plans or virtual tours. The editing experience in Rela is similar to WordPress—without the technical knowledge needed to get the website up. This ease of use is a standout feature among single property website builders; other inclusions on this list, such as Single Property Sites, CribFlyer, and Listings Unlimited, are noticeably more complicated. Rela offers easily customizable lead capture forms for agents to place on listing sites. These forms, tailored to each listing, are more effective at capturing leads than other site builders which only offer pre-built forms. Rela also gives agents the ability to create and manage Facebook and Google ads directly in the website builder platform, which saves time and effort. Additionally, Rela gives agents the ability to set up notifications when leads visit a particular listing page. Agents can create a list of up to six people—five plus the original listing agent—to notify about these listing page visits. CribFlyer also has lead assignments and notifications, which allows several agents to receive leads, but Single Property Sites and Listings Unlimited do not have this feature. 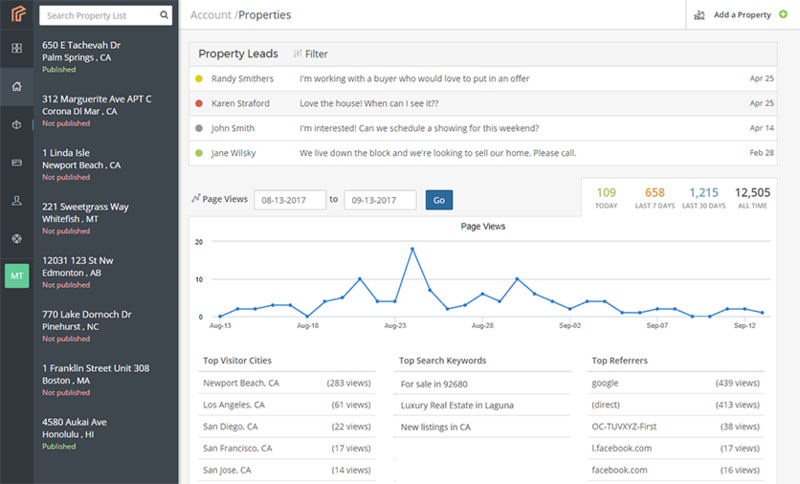 Rela’s CRM gives you a breakdown of leads per property on the main screen. The visual connection between the leads and each property is a significant differentiator between Rela and other site builders on the list. To quickly see which property listing is performing best and follow up on collected leads means that real estate agents can act quickly to respond to potential buyers. Rela offers an intuitive editor for creating print marketing materials based on dozens of templates. These templates allow agents to easily build a flyer, brochure, or postcard template to create attractive printed materials. CribFlyer has a print design editor for flyers and postcards as well, but Listings Unlimited and Single Property Sites have more limited options for creating print materials. Squarespace and WordPress do not have this feature at all. To help agents optimize listing page SEO, Rela includes a preview of what the website will look like for search engines or Google Ads. While this can help with design changes, it’s not helpful for keyword placement. Rela also doesn’t let you post pages directly to social accounts, like you can do with CribFlyer and Listings Unlimited. Rela offers more intuitive reporting and analytics than many other providers on our list. With the ability to install the Facebook pixel and Google Analytics code, Rela can easily track website traffic and lead clicks. CribFlyer has the same tracking features for Facebook and Google Analytics, but users have to search for the analytics because they are not represented on the dashboard. CribFlyer requires real estate agents to run reports to find this information. Rela is an easy-to-use, intuitive editor with built-in templates for quick design. The learning curve is very low, and clicking anywhere on the dashboard brings up a wizard that walks you through each step of designing a single property website—without complicated modules to slow down the effort. Customer service can be emailed anytime. You can also contact them via phone or online chat Monday through Friday between 9 a.m. and 6 p.m. Pacific Time. Chat representatives typically answer questions within five minutes. Rela is missing many of the advanced marketing features of Listings Unlimited and Single Property Sites, like texting campaigns, video builders, and email marketing. This might not matter to users who already have an email marketing program in place, however. We were unable to locate user reviews on the Rela website, social media, or review sites. The best way to learn about Rela features is to try it for yourself. Signing up for a free trial will give you insight into the features and usability without risk. Rela is the best overall single property website builder that is easy-to-use for the real estate agent and attractive for the buyer. To find out more about the easy way to create a single property website for real estate with Rela, click here to sign up for their free seven-day trial. CribFlyer is a single property website builder that’s best for building a large number of sites, starting at $7 per site with volume discounts. This is primarily because the platform allows users to add widgets, like calculators, lead magnets, documents, and more, across multiple sites at the same time. This unique functionality is perfect for brokerages with large teams that need to build many single property websites quickly. Starting at $7 for one site, CribFlyer decreases in cost with volume of real estate sites purchased. Brokers can start with 10 sites for $50 and scale up to 200 websites for only $300 per month. With a seven-day, no-commitment free trial, CribFlyer offers agents the opportunity to test features at no cost. CribFlyer offers an incredible number of features for the price point. The platform gives users the ability to add contact forms to all of their sites, as well as open house scheduling widgets, mortgage calculators, embedded PDF documents, and slideshows. While Listings Unlimited has a mortgage calculator tool, CribFlyer addresses the efficiency needs of a broker managing a team of agents with multiple listings. The template, or theme, editor for CribFlyer is fairly cumbersome. Agents have to scroll down a list of site features to add and edit video, images, and text; this can be extremely time-consuming. However, you are able to add various tools and modules—like mortgage calculators, Google maps, open house announcements, and lead forms—across multiple sites at once by clicking on the “Website Options” button in the editor and selecting the module you want to add. While CribFlyer is not the most user-friendly site builder on our list, it is superior to Listings Unlimited and Single Property Sites. Its unique offering is the ability to add features to multiple sites at once, which no other provider on our list offers. The lead capture forms in CribFlyer are set up with the templates. Leads collected from single property website capture forms are added into a basic CribFlyer CRM and associated with the single property listing. There is not much customization available. You can add new leads manually and associate them with a property, but there’s no import feature or integration that allows users to add external contacts in bulk. Much like the other builders on our list—except for WordPress—CribFlyer’s CRM features are basic, offering only the ability to add lead contact information. If you are interested in customizable CRM feature to accompany your single property website, WordPress allows real estate agents to add features like pop-up lead capture, pipeline management, and email integration that really automate the follow-up process. CribFlyer offers a handful of social media tools. With the inclusion of Instagram and Facebook post templates, CribFlyer makes it easy to create both ads and individual social media posts. These posts can be emailed, texted, or downloaded for immediate or future use, but you cannot post anything directly from the CribFlyer dashboard. Other providers on our list offer more robust options. Rela allows you to create posts for Facebook, Twitter, LinkedIn, and Google Plus, while Listings Unlimited takes it a step further by including all major social channels. WordPress has a selection of widgets and plug-ins that can handle automatic posting to most social channels. 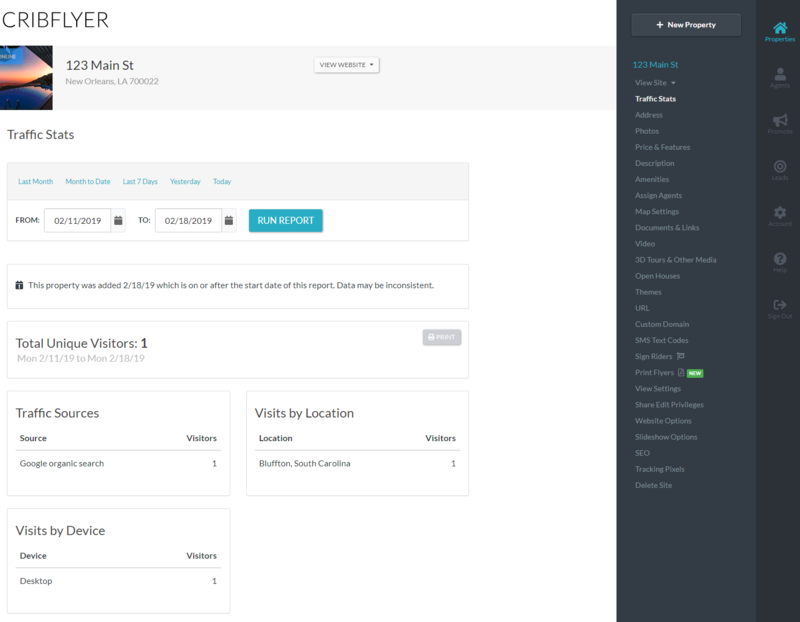 CribFlyer can track site visit and clicks using the integration of the Facebook pixel and Google Analytics. By tracking sources, devices, and locations, brokers can measure results of advertising and update their single property websites to ensure they maximize conversions. Rela has deeper reporting on its dashboard that helps real estate agents to stay on top of their leads. WordPress can also be customized to provide detailed reporting through plug-ins. Overall, CribFlyer is easy to use, but some simple site-building tasks take multiple steps to complete. 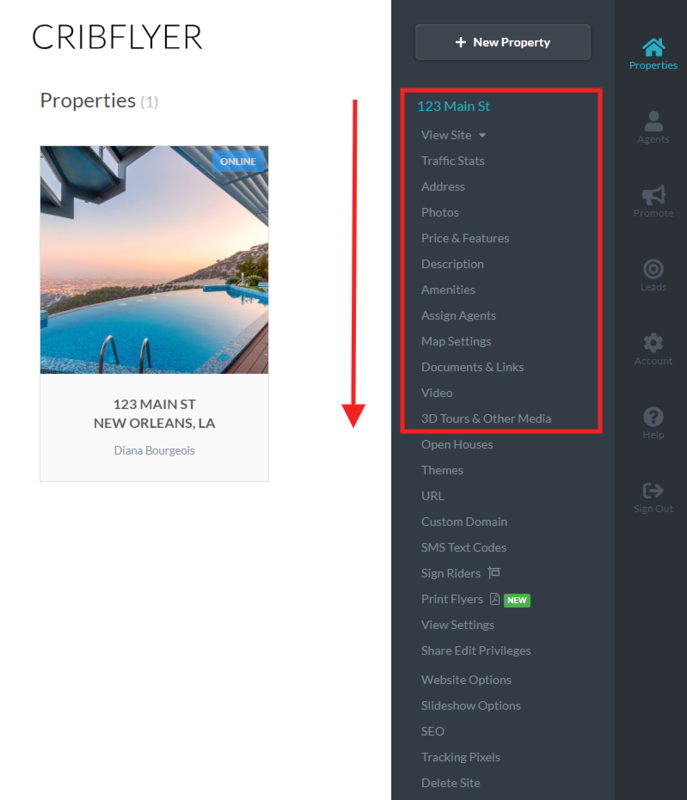 For example, users have to return to the gray sidebar in the site editor and click on address, price, photos, videos, descriptions, or amenities to add content. Rela, WordPress, and Squarespace offer more user-friendly editors that allow input of information in fewer clicks. CribFlyer offers customer service over the phone Monday through Friday, 10 a.m. to. 5 p.m. Pacific Time. There is an email address and a contact form for customer support outside of business hours. This is on par with most other providers on our list. CribFlyer is missing in-depth reporting and tracking. Basic analytics only include information on traffic sources (location and device). Rela, WordPress, and Single Property Sites, however, show you more in-depth traffic and click-through reports. These metrics can be key to creating a conversion-optimized website. We were unable to find reviews about CribFlyer online. 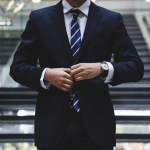 However, taking advantage of the free trial will give you seven days to find out if their features are a good fit for you or your brokerage team. 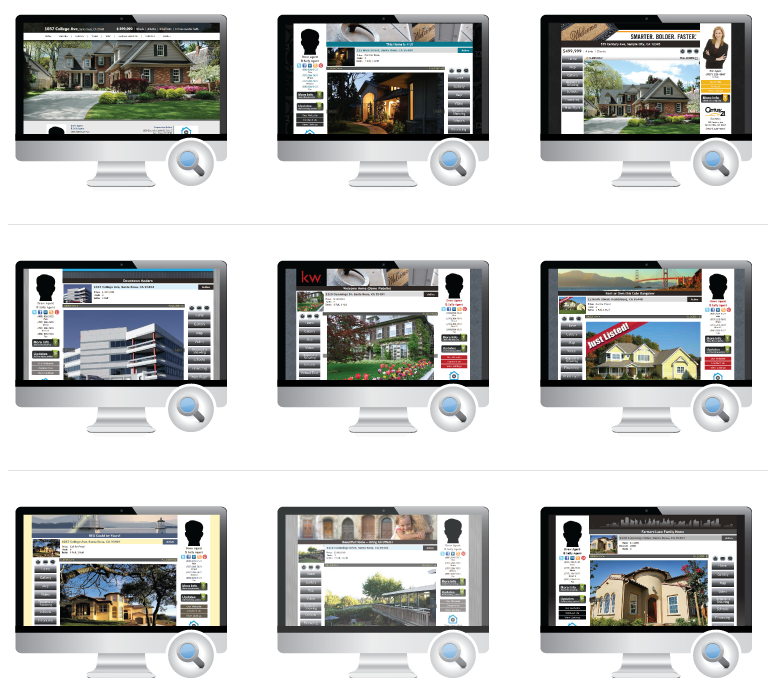 CribFlyer gives brokers the power to create multiple single property websites without excessive cost or wasted time. To find out more about the volume discount available through CribFlyer, click here to review pricing and sign up for your free seven-day trial offer. Listings Unlimited is a real estate-specific single property website builder starting at $24.95 that’s known for its advanced marketing tools. Unlike other options, Listings Unlimited includes social sharing features, listing email flyer templates, a QR code generator, a Craigslist poster, YouTube syndication, and a video builder. For this reason, it’s perfect for real estate agents who need robust tools to not only generate leads, but to market to and track them easily. Listings Unlimited starts at $24.95 for one listing. The Active Agent Plan upgrades that to 25 sites for $24.95 per month. For more than 25 listings, the cost is 89 cents each. The Annual Plan at $299 per year, however, comes with unlimited sites. Listings Unlimited offers a 14-day free trial to test all of its features. Listings Unlimited is focused on providing real estate agents with advanced marketing features to take advantage of the lead opportunities and track results. Marketing technology like QR codes, video builders, social sharing tools, SMS (text message) autoresponders, and automated voice information (AVI) are all included in the platform. The marketing features of Listings Unlimited are ideal for real estate agents who want to use marketing to reach and respond to warm leads. Listings Unlimited offers a limited selection of templates with only a few customization options, like the ability to change background colors or place head shots in set locations using drag-and-drop functionality. The templates are available in a choice of colors and include banners, a featured image, and a lead capture form. If you need more customization options and themes, consider Rela. A big advantage of Listings Unlimited is its Smart Lead Capture. Smart Lead Capture gives buyers the ability to text a code to a number to express interest in a property. Listings Unlimited Smart Lead Capture means that buyers and sellers can be traced to a specific ad or sign. Single Property Sites offers a click-to-call campaign and a texting campaign that are similar to the Smart Lead Capture service for an additional $1 per site, per month. The CRM for Listings Unlimited contains most of the standard features of all other CRMs on our list—like the ability to manually add leads to the database. You can also easily export your leads, though doing so means you won’t be able to take advantage of Listings Unlimited’s robust marketing features. 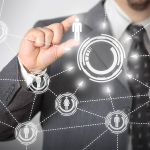 Marketing with Listing Unlimited includes robust features like social sharing, video creation, and Craigslist posting. With enhanced marketing features to help agents stay engaged with contacts, Listings Unlimited strives to ease the process of promoting listings and generating leads. Social sharing tools: Real estate agents can share their single property website on any social media platform with one click using the integrated Listings Unlimited’s social sharing tools. Video creators: Agents can easily turn images into impressive videos with the video creator feature. Syndication with YouTube: Videos can be uploaded and syndicated directly to the agent’s YouTube channel to increase views. Craigslist posting tool: For agents who use Craigslist, Listings Unlimited provides PDF and HTML flyer templates that can be included in posts. Text message lead alerts: Agents can get text messages about new leads and potential buyers as soon as they click on a single property website. SMS autoresponders: Real estate agents can create SMS (text message) autoresponders to respond to questions from leads or prompt potential buyers to set up an appointment. QR codes: QR codes can be scanned by buyers to find out more information about a property. Agents can track scans to determine lead interest in a property. Automated voice information (AVI):- Listings Unlimited’s AVI can be set up to dial leads and leave a recorded marketing message to encourage attendance at open houses or announce new listing information. Listings Unlimited far surpasses other single property website builders in the marketing category. WordPress can provide some of this functionality with the help of third-party plug-ins, but the built-in functionality mentioned above is unique to Listings Unlimited. There are two standout features of Listings Unlimited reporting: the ability to automatically generate reports on a set schedule and have them emailed to agent inboxes, and password protection of report data. However, the actual reporting and insights are more robust in other platforms, like CribFlyer and Rela. 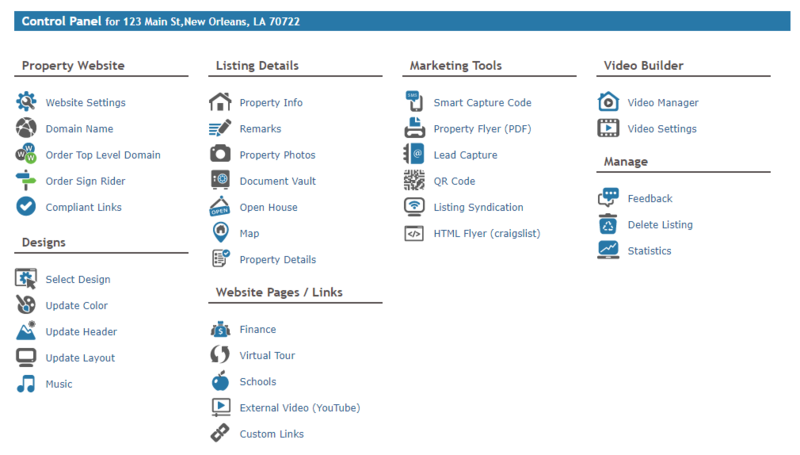 Listings Unlimited has a dated, but easy-to-use interface, like Single Property Sites. In order to add content to their listing websites, users have to click on the desired content type and drag it onto the template. However, WordPress, Rela, Squarespace, and CribFlyer all have more streamlined, modern systems that increase efficiency for site building. Listings Unlimited offers phone and email support Monday through Friday, 8:30 a.m. to 5:30 p.m. Pacific Time. Email customer support is available outside of working hours. It is unknown how long, on average, it takes to get responses from representatives. Listings Unlimited provides a limited number of themes compared to site builders like Rela. Also, while Listings Unlimited templates are generally well designed, they don’t offer the “wow” factor you get from templates offered by builders like Rela. 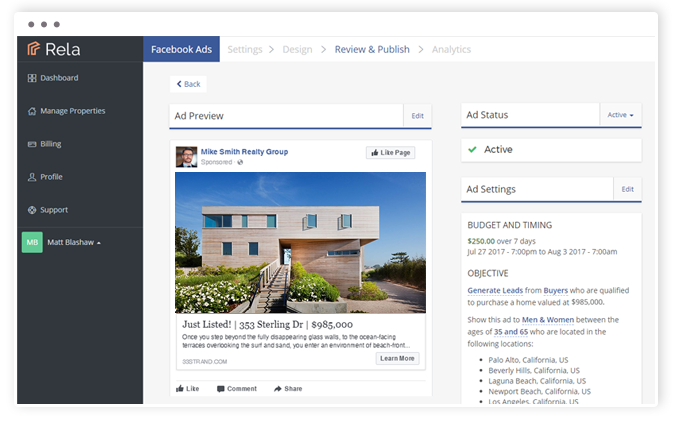 On their website and social media, Listings Unlimited users note that the technology is easy to use and the builder offers attractive templates. Some users note customer service issues, but the majority of users were overwhelmingly happy with all aspects of Listings Unlimited. Listings Unlimited is aimed at providing agents with simple, single property websites and an impressive collection of marketing tools to promote each listing. Learn more about Listings Unlimited by clicking here to sign-up for their 14-day free trial. 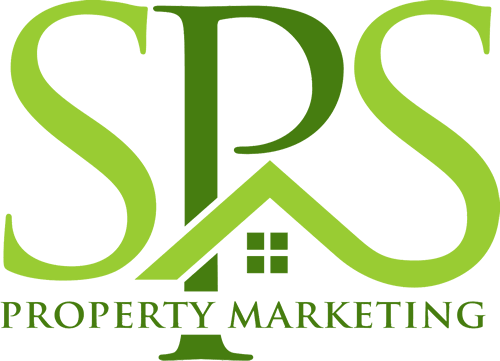 Single Property Sites (SPS) is a real estate single property builder that focuses on niche markets, starting at $10. They offer great templates designed specifically for sale by owner (FSBO), vacation, and commercial properties, and even lets you create “listed by” properties that you can list on behalf of another agent. For these reasons, it’s best for real estate agents who specialize in niche markets or who want to expand their offerings into lesser-known listings like FSBOs. Single Property Sites is priced for larger-volume buyers. One listing costs $12, 10 active listings cost $49, and 100 listings cost $97 per month. There is a 14-day free trial to find out more about the features and examine the marketing tools. Not only does SPS’ intuitive site builder allow users to add content elements easily, but you can use the builder to create slideshows, add social network widgets, and incorporate blogs. Additional features like print flyer templates help agents who are building print and digital marketing campaigns. SPS allows agents to populate their single property website with all listing information and photos directly from the MLS. This information can be supplemented by additional photos and text via a somewhat clunky, point-and-click interface. Single Property Sites is easily surpassed by Rela and CribFlyer. It should be noted that the dated editor is not a reflection of what the buyer or seller sees. The seven Single Property Sites templates are relatively attractive. Single Property Sites includes the ability for buyers and sellers to text a code to a number in order to join their lead stream. Like Listings Unlimited, this type of lead capture is a smart way to capture spur-of-the-moment leads in the middle of a decision process. Lead capture magnets can also be added to single property websites to collect data from interested visitors. Like CribFlyer and Listings Unlimited, SPS’ CRM is incredibly basic, focused mainly on contact organization. WordPress plugins for real estate agents could be customized to create a more robust CRM. Non-technical agents might want to seek a free CRM like Freshsales to manage leads throughout the pipeline rather than try to stretch the features of Single Property Sites. One of the most unique marketing services from Single Property Sites is the banner campaign. You can create banners around the site that entice visitors to click through to partner offerings or other websites. This could be a useful tool for attracting FSBO buyer or seller leads or acquiring newsletter subscribers. With insights for each property that include visitors, page views, leads, referral sources, and last visit information, Single Property Sites reports provide data that can help real estate agents make decisions on effective site design and lead capture. Agents can also schedule email reports with Single Property Sites, just like with Listings Unlimited. For those needing more advanced reporting, consider WordPress, which offers a wealth of reporting plug-ins. If you already have a listing in the MLS, Single Property Sites makes site building easy. This is a unique time-saving feature not found in other solutions, like Rela or CribFlyer. If you are building a website from scratch, however, the lack of an easy editor means going through a dozen steps to create a basic single property website. Single Property Sites could benefit from improved customer support. While SPS offers phone and email during business hours, they seem to lack helpful or timely responses. For better customer service, consider Rela. Single Property Sites is missing the sleek back-end editor that users expect from a single property website builder. While the site functionality and design for the visitor are not affected by the dated editor, SPS users might easily become frustrated with the cumbersome site creation process. Single Property Sites does not have online or website reviews. It’s recommended that you sign up for their 14-day trial offer, which will allow you to determine if their solution is right for your website. Single Property Sites gives real estate agents with secondary listings like FSBO, rentals, vacation homes, and commercial listings unique templates and tools for single property websites. To learn more about the features and pricing of Single Property Sites, click here to sign up for their free 14-day trial. WordPress is a non-real estate-specific site builder that is known for its robust customization options and countless templates. While this customization can be advantageous, WordPress features a menu-based editor that often requires several steps to complete tasks. Given this nuance and complexity, WordPress is best for agents with technical web design knowledge who want extensive customization. The WordPress site builder is free. However, to launch a WordPress site, agents must first purchase web hosting; this is readily available through a WordPress-recommended host like Bluehost for $2.95 per month. Additionally, agents will likely pay $10 to $60 for a real estate theme and anywhere from $5 to $50 for each site plug-in. Because WordPress themes are so customizable, features vary radically from theme to theme. For example, many WordPress themes are responsive (mobile-friendly), but only some offer integrated features like slideshows, contact forms, and intuitive page builders. Be sure to review the inclusions of your desired theme closely before purchasing it, and see what plug-ins you may need to purchase separately to add required functionality. There are hundreds of themes available via WordPress’ own themes page, and hundreds more available via third-party sites like Theme Forest and Elegant Themes. While most will only be editable using WordPress’ native menu-based editor, some include site builder plug-ins that allow you to easily add content by dragging and dropping content modules onto a page. Read our article on WordPress site builders for more information. WordPress comes with a variety of plug-ins to provide many of the features available in Rela and CribFlyer, including lead capture forms and lead tracking. The banner campaigns offered by Listings Unlimited and Single Property Sites are also available through WordPress plug-ins. From chat boxes to appointment booking widgets, WordPress plug-ins makes lead capture easy. Visit the WordPress plugin page to browse available plug-ins. WordPress—like Squarespace—does not have an integrated CRM system to manage contacts; however, like everything in the WordPress world, there are plug-ins that will allow you to manage your leads. WordPress plug-ins can give you the power to segment lists, assign leads to teams, and connect with third-party email services like Mailchimp. For the tech-savvy agent who knows how to find and set them up, WordPress plugins offer CRM functionality comparable to other site builders on this list. There are plenty of standalone CRM plug-ins available for WordPress—like WordPress CRM and Zero BS CRM—but users can also integrate industry-leading CRM platforms like Salesforce with their WordPress website. While no marketing-specific functionality is built into the WordPress site builder, its plug-in database offers many tools for marketing campaigns, including lead capture forms, newsletter sign-up widgets, advertising managers, social media posting tools, and more. With thousands of WordPress plug-ins, the functionality you want is one installation away. Find out more about the best real estate plug-ins for WordPress. Most WordPress themes do not come with pre-installed reporting tools. Instead, you will have to find a reporting plug-in that suits your needs. However, reporting plug-ins abound in the WordPress plug-in database; many offer detailed insights on traffic volume, visitor origin, referral sites, and more. You can also install the Google Analytics plug-in to help you gather even more in-depth information about site visitors. Much of the WordPress complication comes from the multiple steps and unfamiliar processes needed to build a website. An intuitive editor and simple template offered by builders like CribFlyer or Rela make building a website easy. If you are interested in building your own single property websites using WordPress and need a step-by-step guide, read our article on how to make a WordPress website. WordPress provides 24/7 customer service through chat, phone, and email. There is a support forum for posting questions and getting community input from other users and experts. Due to the technical nature of WordPress, customer service works hard to enhance user experience and provide quick responses via multiple channels. WordPress does not include a traditional site editor or many of the built-in features offered by other companies on our list. While it might sound overly complex to build a single property website in WordPress, many real estate agents prefer the customization that it affords. Review websites like Capterra and Site Builder Report rank WordPress as the best site builder for price, customer service, and features. Negative reviews noted that the number of themes and plug-ins can be overwhelming for new or non-technical users. Learn more about WordPress reviews and pricing. WordPress is a powerful platform for tech-savvy agents who want to customize their single property websites. Click here to find out more about WordPress and download their free-for-life site builder. Squarespace is a general purpose website builder starting at $12 per month that’s known for its intuitive drag-and-drop editor. It’s a perfect turnkey solution, offering web hosting, a custom domain name, and templates as part of every plan. Due to its ease of use, Squarespace is right for non-tech-savvy agents who need only one single property website, or several listing pages under a single domain. Squarespace starts with a Personal Plan for $12 per month annually or $16 monthly. The Business Plan is $18 per month annually or $26 monthly; this plan adds a professional email address, pop-ups, advanced reporting, and Mailchimp integration. With an annual purchase, a custom domain name is free on both plans. The Squarespace Personal plan includes an easy-to-use, drag-and-drop editor, plus a suite of more than 20 templates. The editor makes it easy to add video, upload photos, and add forms for lead capture. While Squarespace offers the ability to host video, it does not have the ability to create a YouTube video from your uploaded photos, like Listings Unlimited. Given the ease of use but lack of lead capture options, the Personal Plan is best for the non-tech-savvy real estate agent who wants to build awareness about a property, but isn’t concerned with capturing leads through the property website. If you have a strategy for collecting leads another way, this plan might serve to promote a property and generate buzz. The Squarespace Business plan adds some of the primary features real estate agents might want in a single property website, like lead capture pop-ups, traffic reporting, and email marketing integration. However, the reality is that marketing tools, lead generation features, and customization are better in all of the other single property website builders. This plan, while affordable and more feature-rich than the Personal plan, does not offer many of the marketing tools or CRM features that agents would need to make the most of leads generated from single property websites. For that reason, it’s better for agents collecting newsletter subscribers and less effective at collecting leads for specific listings. Squarespace is extremely easy to use for beginners. The intuitive platform gives users the ability to drag and drop clear content modules and start designing their website in minutes. The templates are attractive, clean, and modern, allowing agents to quickly add photos, videos, and text while ensuring the site remains mobile-responsive. Squarespace offers customer support 24/7. Email is available at all hours and representatives will even respond to tweets around the clock. Live chat is available between 4 p.m. to 8 p.m. Eastern Time. This availability stands out from other site builders like SPS. Squarespace is conspicuously missing a CRM. For most real estate agents, a CRM to collect leads and monitor lead progress is an important feature. 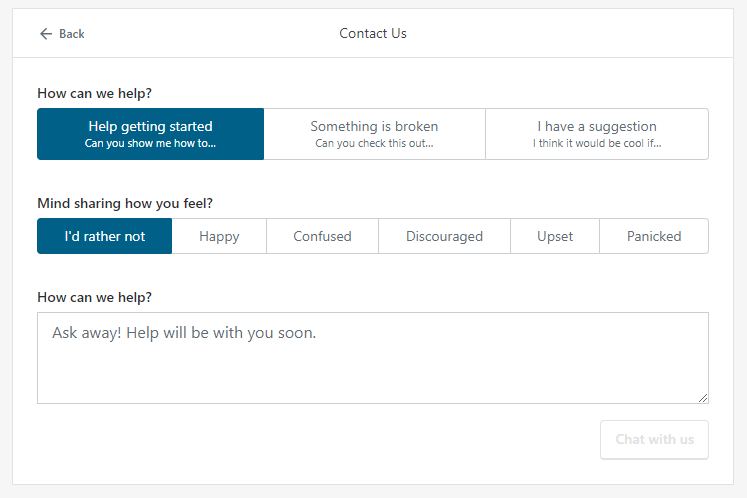 While Squarespace will collect responses to forms, it will not function as a CRM. The Free Forever plan from Freshsales might be a good CRM solution for new agents. Most reviewers report that Squarespace is easy for beginners or occasional users. Reviews state that the price and the features, combined with the ease of use, make Squarespace a very attractive platform. Find out more about Squarespace reviews and pricing. Squarespace is right for novice, non-tech-savvy agents seeking a one-off single property website to show to buyers or sellers. Learn more about the simple interface and design editor of Squarespace by visiting their website today. Building single property websites for real estate helps gain leads by impressing site visitors with the features of an individual property. For agents who want to list a property separate from their own website, these six best real estate single property website builders are the best based on template designs, price, marketing features, ease of use, and customization. Rela stands out as the best overall because it is a one-stop single property website builder with high-end templates, an easy editor, social media posting integration, a useful CRM, and robust reporting. Find out more about Rela by signing up for their free trial and test out the features for yourself. Hi Julie, great article and overview of the current single Prop Sites out there. Wonder would you consider reviewing our site primolisting.com and if you like it possibly including it in the piece? We typically update articles each year. Our real estate writer can surely check out your site on the next go round. Tourmatic.com is another great company to add to the list offering single property websites. We’ll ask our real estate writer to take a look at it next go round. this is great info and I plan to share it with my Real Estate friends. However, I know that most of them are not as tech savvy as I am, so I especially like the options where they don’t have to do a lot of the work themselves. I see the trade offs, though and that you have options across the spectrum. I agree that these property websites are great and I like the idea of keeping them on the main site and increasing the main site rankings with these single property websites. Great job, thanks for all the info!